you always pull things together so beautifully. i love that lampshade. it's really modern while remaining soft. Ahh....Yes. 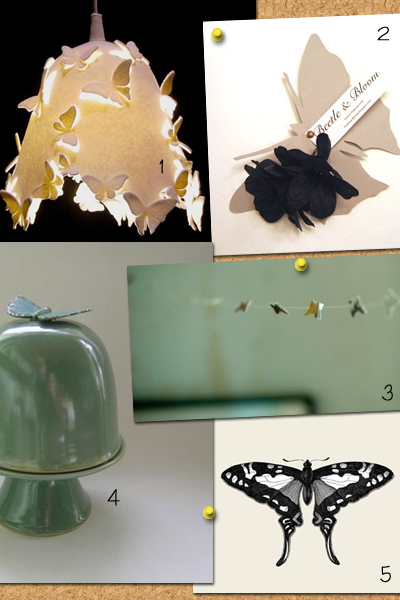 I am so in love with that tiny little butterfly garland(as you might imagine)and that lampshade always gets me! Also, the "black beauties" I am off to check those out right now! Thanks hun!